HTC has confirmed it will be bolstering its patent locker as it looks to buy various kinds from different places. 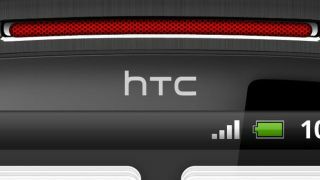 A judge has also banned HTC from using some Google patents in its case against Apple, as HTC had failed to acquire them in the proper manner. Speaking at the company's 15th anniversary ceremony, HTC Chairwoman Cher Wang said: "Apple is a company with 'big muscle' and is famous worldwide. "In the US particularly, it will be able to stop us by all means. This is our challenge." To tackle the Apple onslaught Wang confirmed that HTC "will apply for patents in different fields, and we will also purchase different kinds of patents." We will have to wait and see if HTC is able to purchase enough patents to protect itself from future lawsuits - and Apple will probably be keeping a close eye of proceedings.